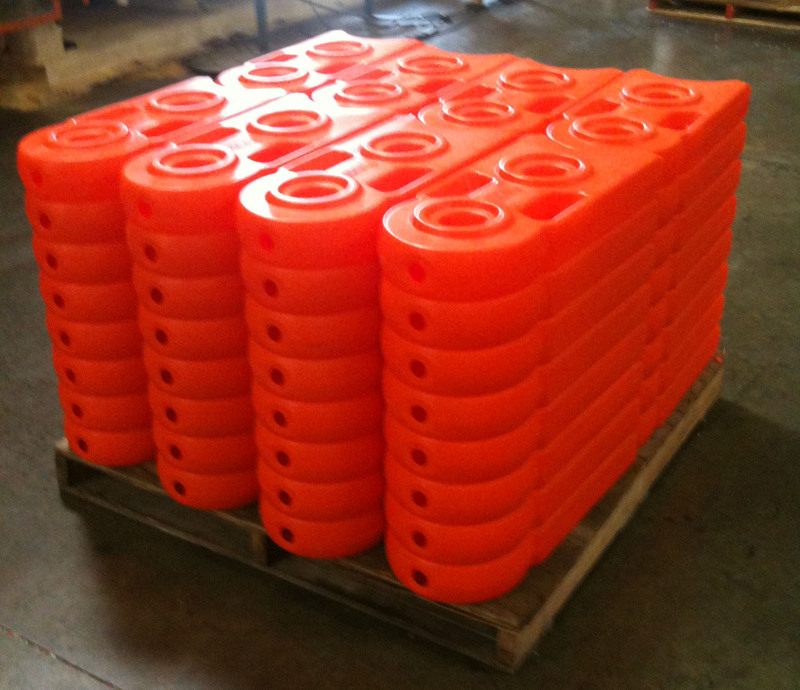 The 2 most common methods for mass producing plastic products are injection molding & blow molding. Obviously those aren't the only ways to make a plastic part, CNC machining & 3D printing are awesome methods too, but when you need to make millions of the same parts it's best to mold that part. Blow molding makes hollow parts like milk jugs & water bottles. Injection molding makes solid plastic parts like the keys on your computer keyboard, or the body of your cell phone. These are blow molded retaining wall blocks which were conceived to function as re-usable sand bags. Being blow molded they are hollow & can be filled with sand. For this project the customer already had the product completly designed by someone else, they hired me to make the mold which could produce their design.